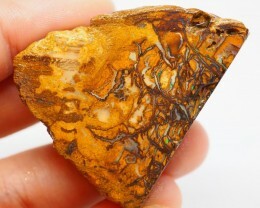 Folks here is a very nice large piece of Mintabie rough that has brilliant color. 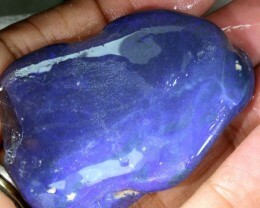 The blues and greens are super bright and the piece is very flat with great color throughout. 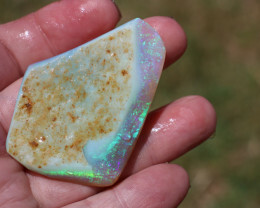 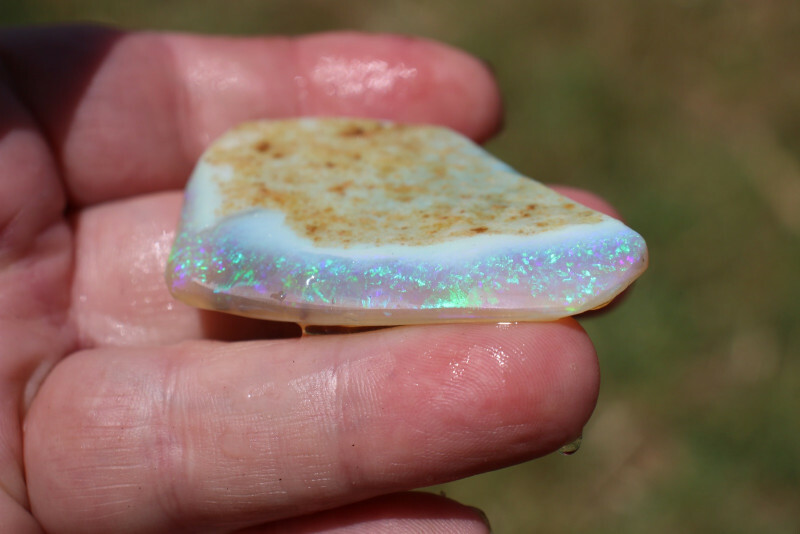 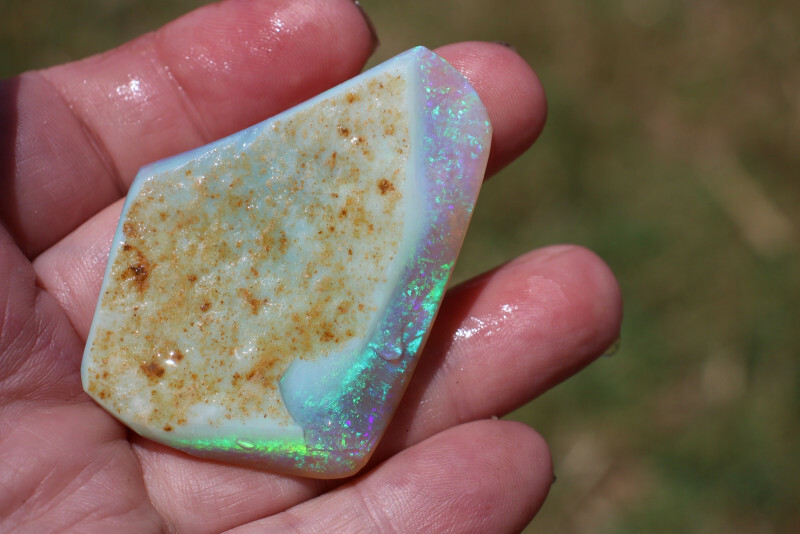 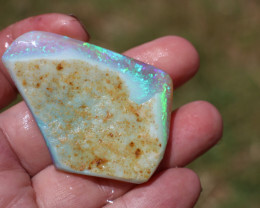 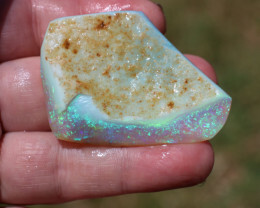 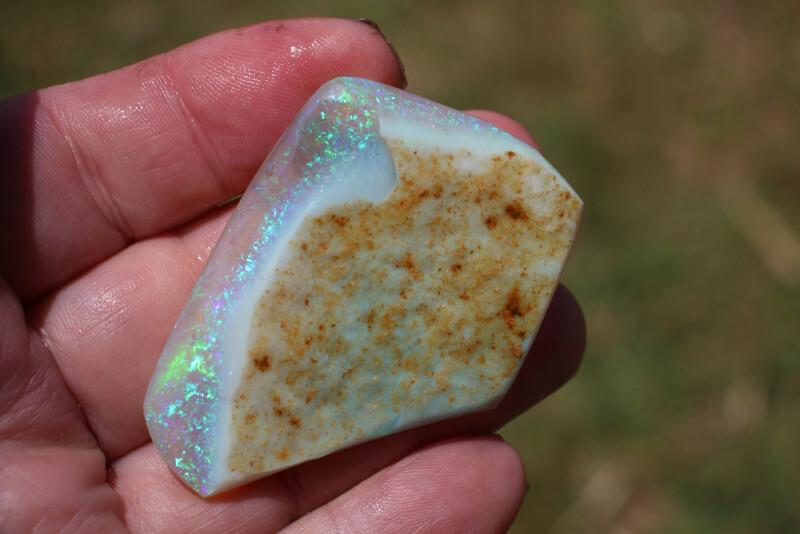 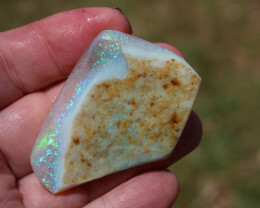 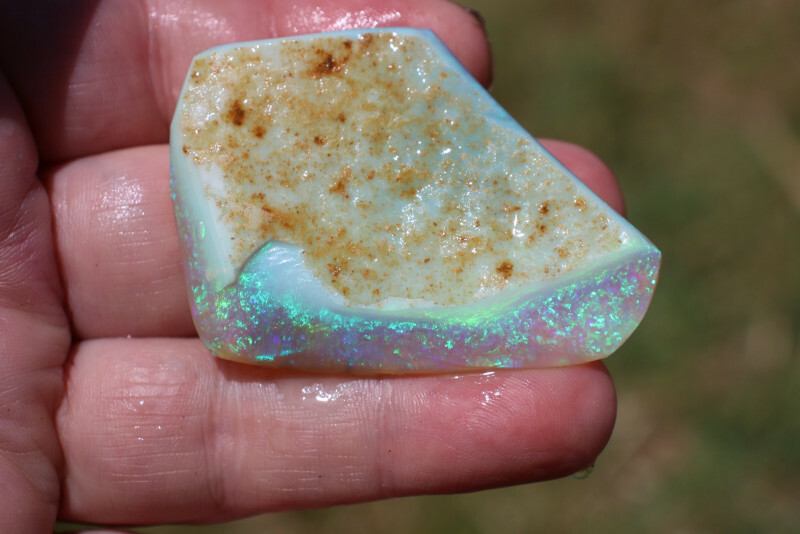 It looks super clean in the light and will cut one huge Opal or many pairs or sets. 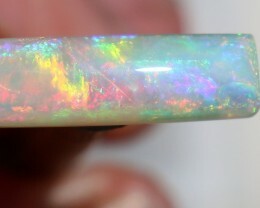 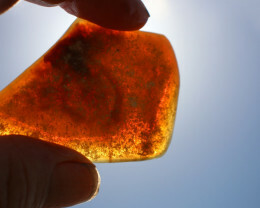 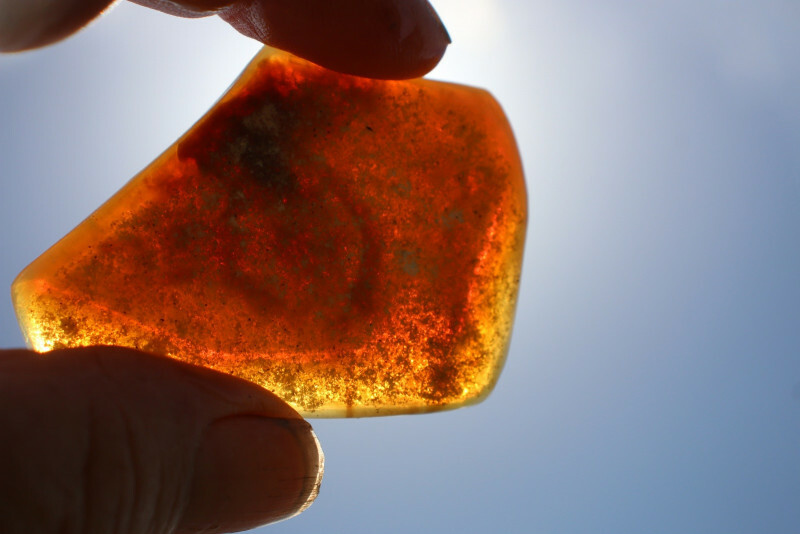 It measures 62 x 42 x 7mm and weighs 116 carats or .825 Oz. 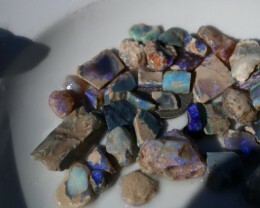 The miner rubbed it, so you can see what you are getting and in this case he didnt do any harm. 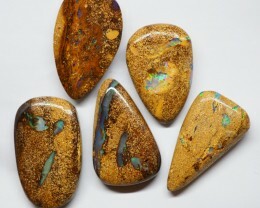 I can see broadflash and some star like pinfire so far. 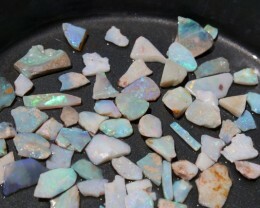 Mintabie is now closed to mining, pieces as good as this are very rare. 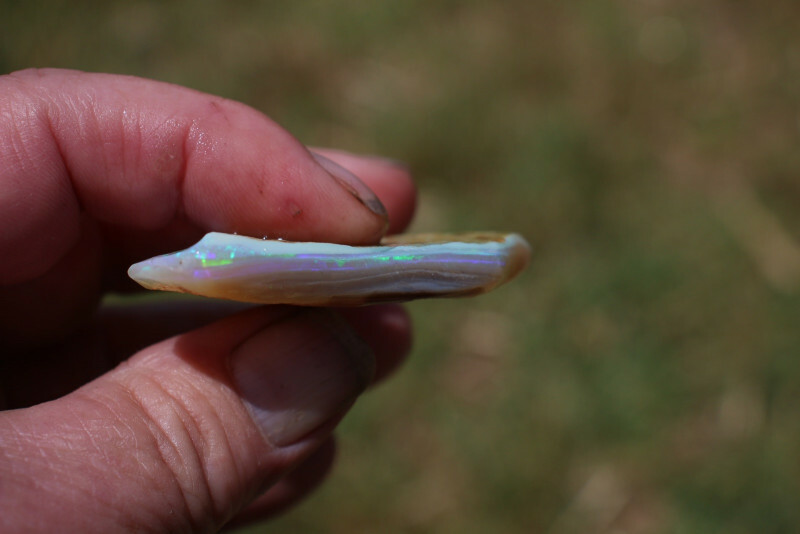 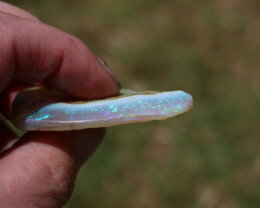 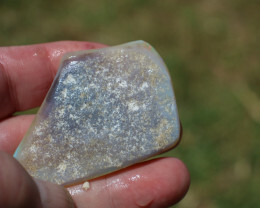 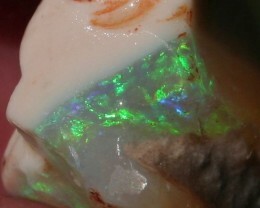 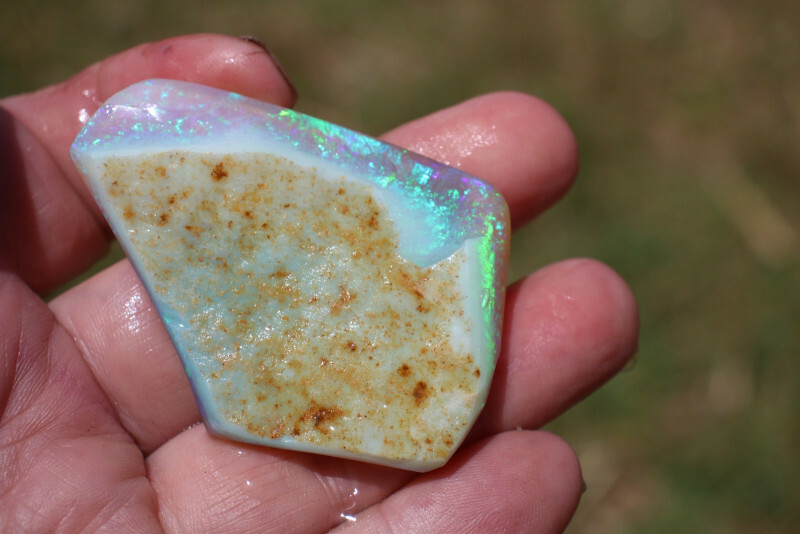 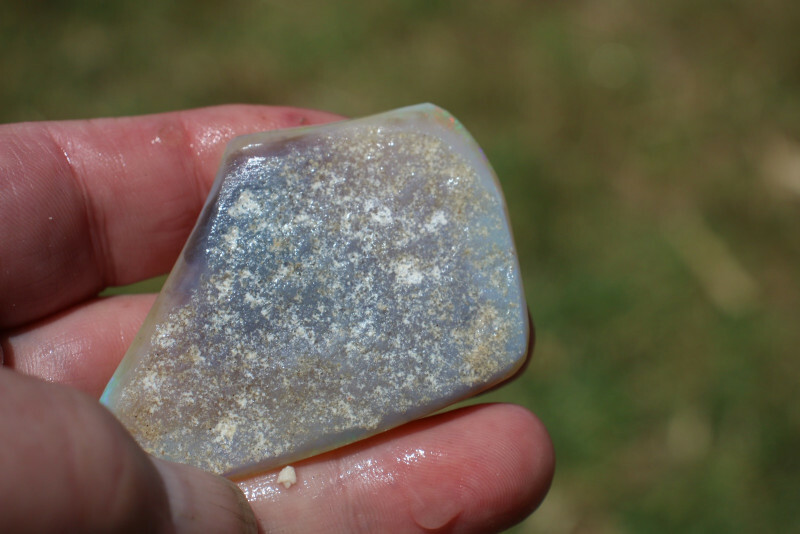 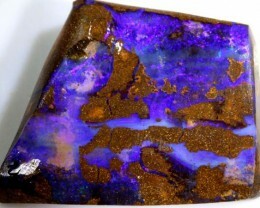 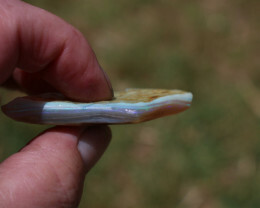 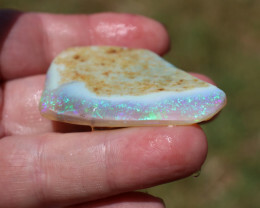 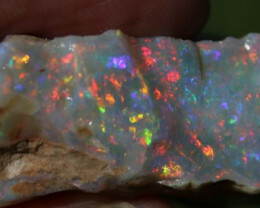 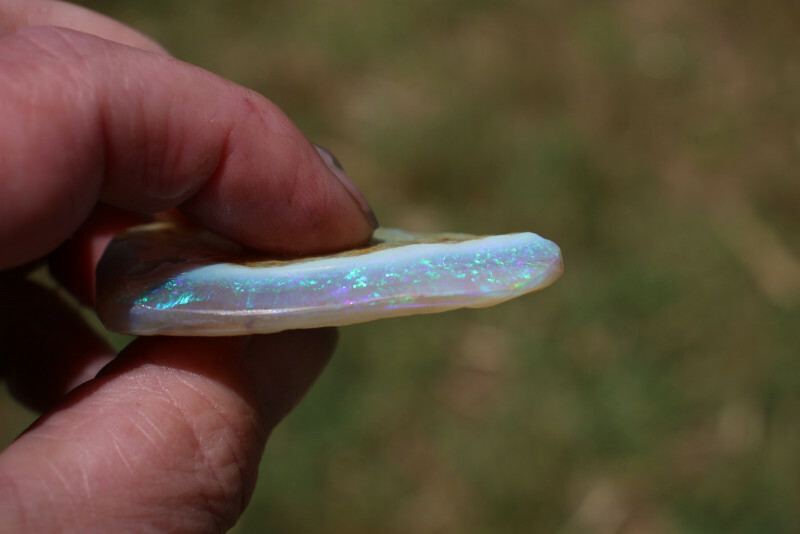 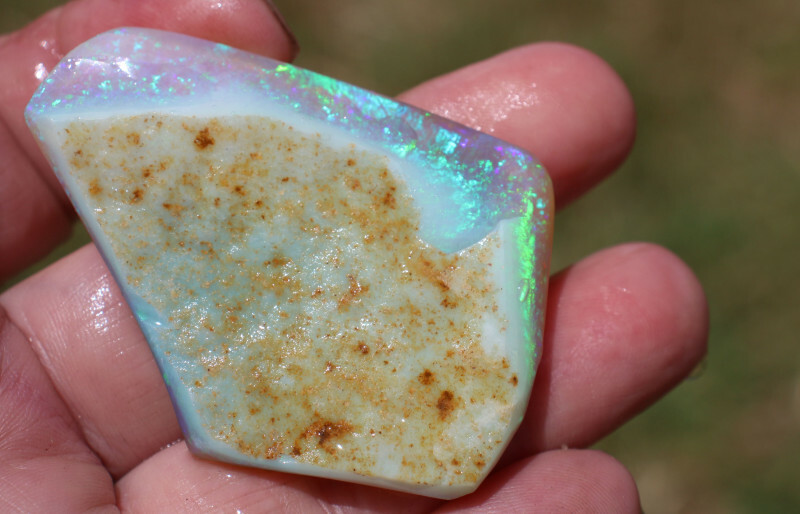 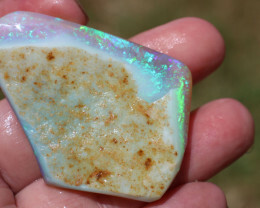 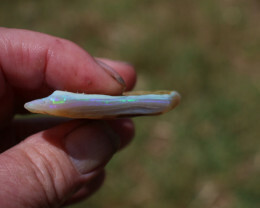 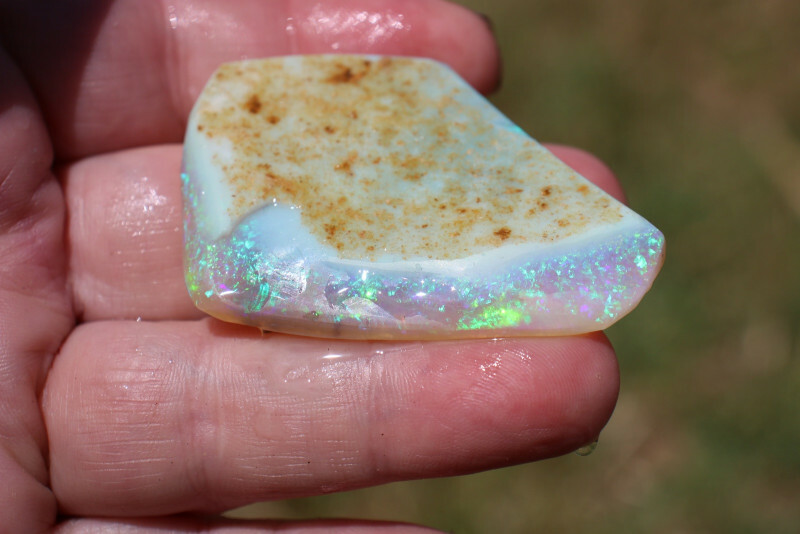 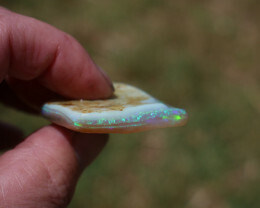 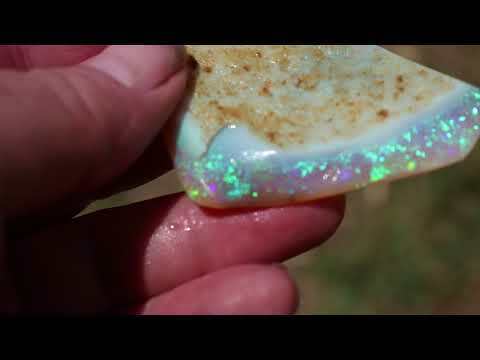 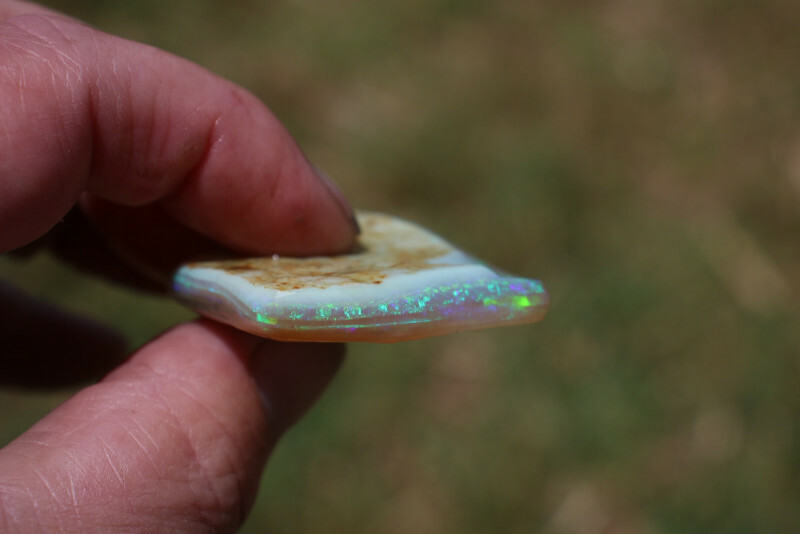 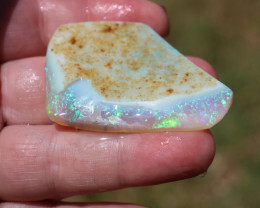 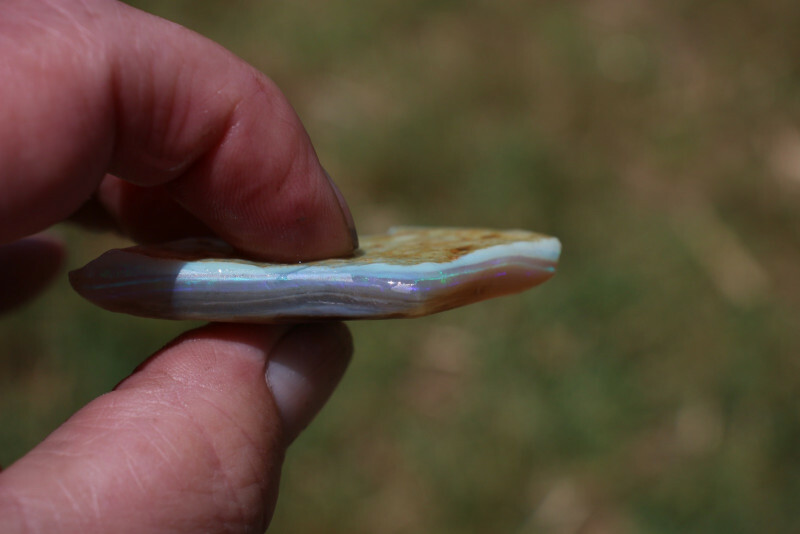 Once cut, you will have Opal or Opals worth a small fortune.